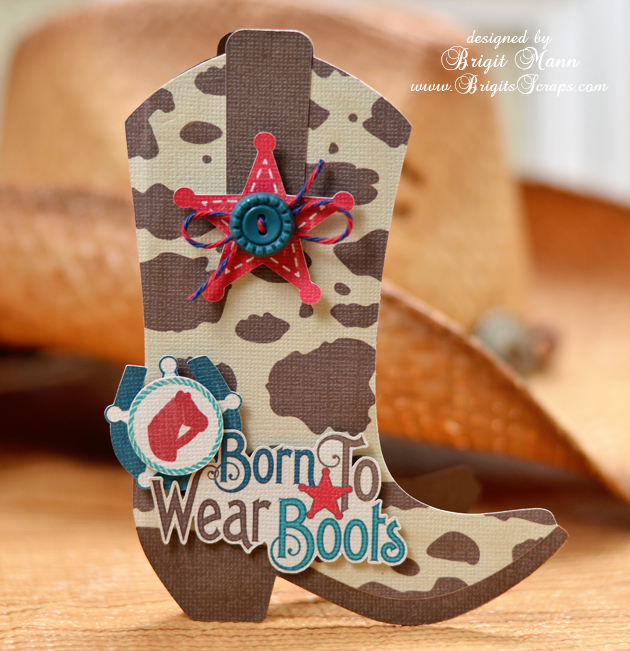 I love this new Lori Whitlock cowboy boot shaped card, it goes perfectly with Carta Bella's Giddy Up Boy paper and elements, how cute is that Born To Wear Boots!! I used some Trendy Twine Berries Jubilee, this is on special right now along with a couple of great colors for 4th of July and of course other occasions too. This is just way too cute. Love it. This is adorable - I saw it on Lori's FB Wall and had to drop by and tell you how much I love it! Cute, cute, cute my friend. Love it. I think it might just fit me..LOL.